Thank you for stopping by today...I've been sharing new releases all week and wanted to share this with you too. 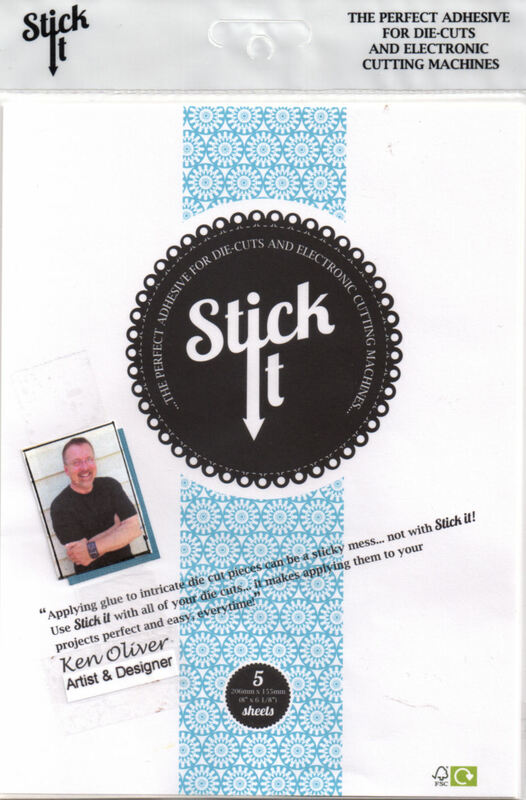 The National Craft and Hobby Show in Anaheim CA starts this weekend, and for the first time, I'm launching new product into the craft market under the brand name Ken Oliver Crafts. 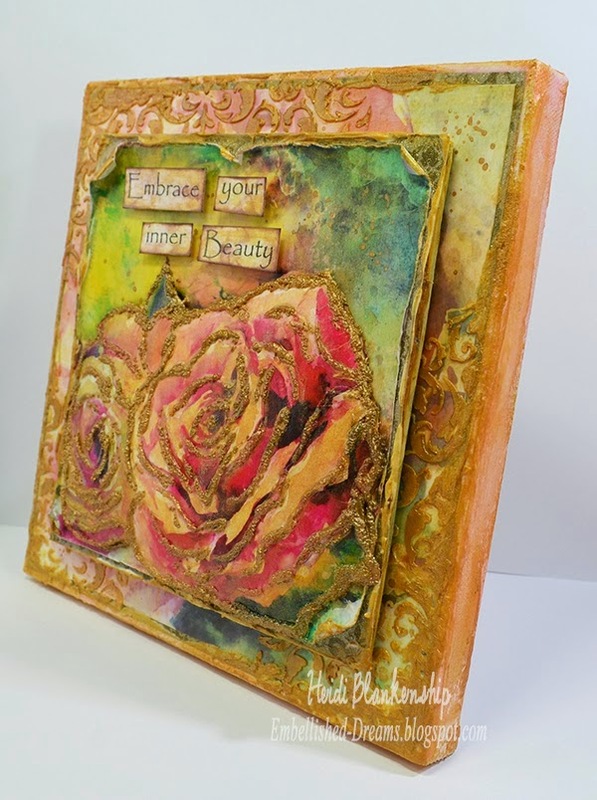 This beautiful mixed media canvas created by Heidi Blankenship of Embellished Dreams features a new line of craft papers, Watercolor. 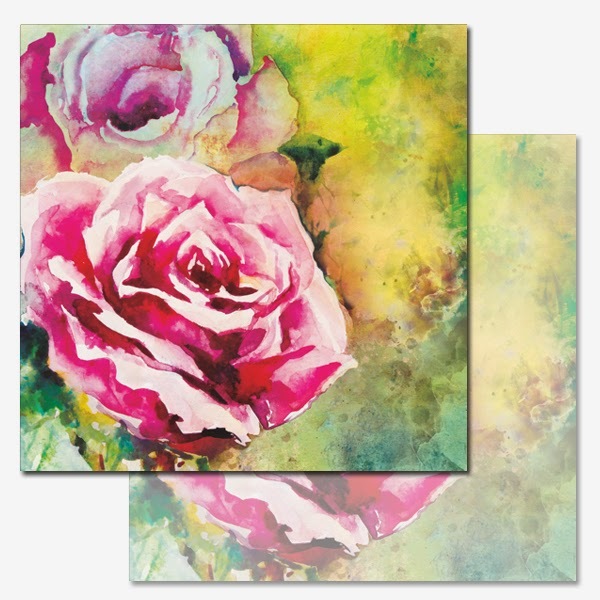 The Watercolor papers are craft papers that are printed with floral inspired watercolor designs. 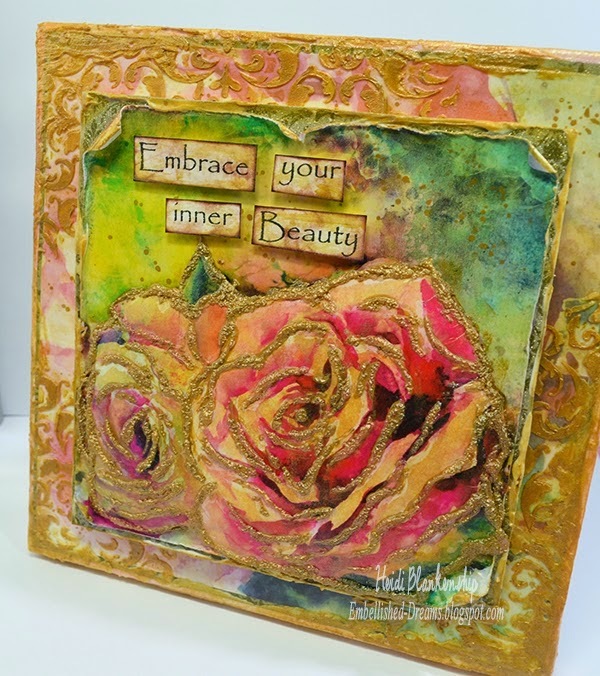 In card making, scrapbooking and mixed media art, watercolor looks are very popular. This paper assortment lets you achieve a "watercolor" look if you love the look, but don't have the painting skills or time to achieve it. If you look closely at Heidi's canvas you'll notice a lot of depth and texture. 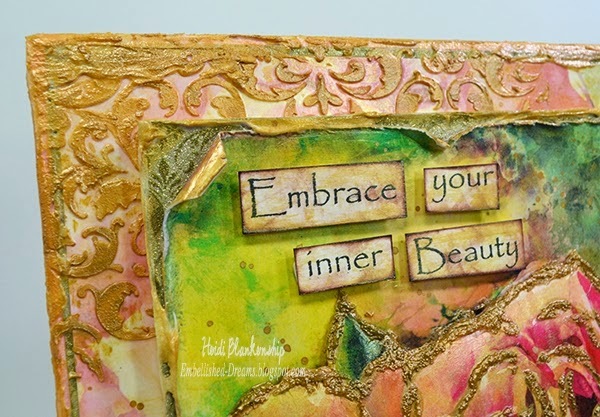 She used stencils, applied modeling paste and sprays to create texture. One of the things you will love about this paper is that it's sturdy enough to stand up to a variety of mixed media techniques. The texture in this piece seems almost like antique damask fabric, it's really nice. Earlier this week, I previewed the Watercolor papers with gorgeous projects from Nancy Wethington from Art-from-the-Heart. It's really quite exciting to see how each artist uses the papers differently to create beautiful projects. Now, I leave tomorrow for the show and I've still got lots to do. The Watercolor papers will be at retail locations toward the end of January so be on the lookout. I know you are going to want all 6 designs in this assortment...the heavyweight craft papers come in 12x12 size, 6x6 size, and there's even an Ephemera pack, or collage sheet of smaller images that you'll love to use for embellishments and collage. If you're a retailer and would like to carry this line, Product Performers is the exclusive worldwide distributor for Ken Oliver Crafts. Thank you again for spending some time here today to see what I've been up to on the way to CHA...check back again later this week as I have a few more little tricks up my sleeve. LOVE this canvas! Can't wait to get these papers in my hands!! Have a great time at CHA and I will see you next post! Heidi did a great job. She showed off the papers beautifully.